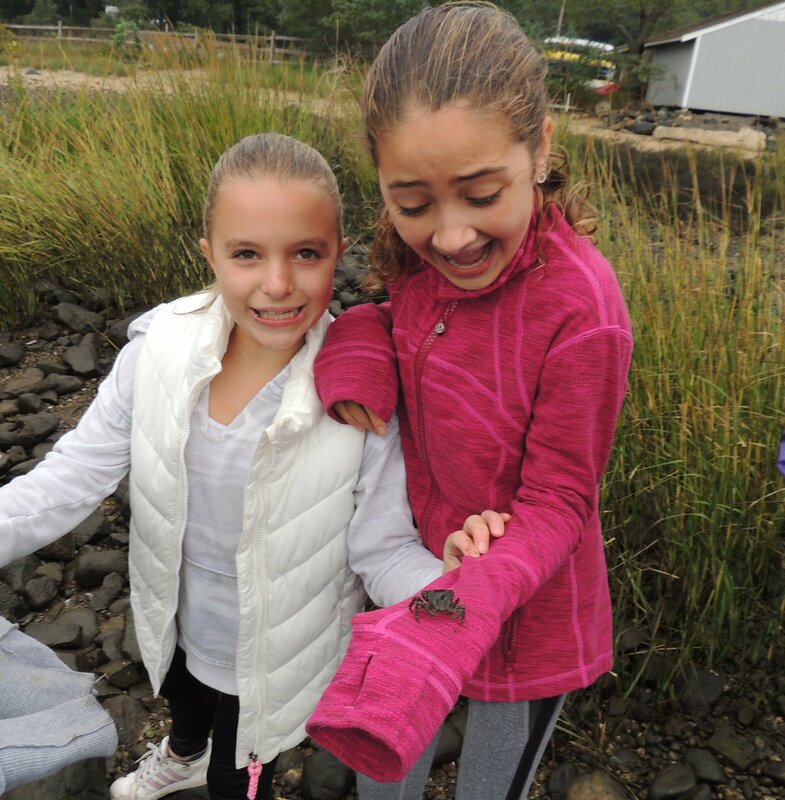 Sixth grade science classes went on a field trip to the Shore Road Nature Preserve on October 15th to study the effects of pollution on our aquifer. The North Shore Land Alliance program for both elementary schools' science classes teaches about Long Island's aquifer and where our drinking water comes from. Educators teach these student groups, so they will in turn, educate others. Workshops were held both at Lloyd Harbor in the fall, and West Side in the spring... by Ms. Mossey from the L.I. Water Program in preparation for the student field trips. Adjacent to the Shore Road Beach area, students were delighted to discover the grassland, shoreline, and life buried in the sand and under the rocks, while testing water quality and soil permeability. A highlight was discovering the abundance of the Asian Shore Crab species that have inhabited our earth, virtually unchanged, for over a billion years…and the impact invasive species have on our ecosystems. Students also found mussels, and learned that just one mussel consumes four gallons of water every day! They also held horseshoe crabs, and learned they have inhabited the earth for over 450 million years, have 10 eyes, and have blue blood which contains copper! Volunteers also explained that each day, litter finds its way to our shores, and we are grateful for the constant clean-up efforts from the North Shore Land Alliance. Who knew there was so much happening on our shoreline!